Soon we will be supplies shopping, gathering new clothes and making plans for packed lunches. To help make back-to-school a little more fun throw, a little party. There are a couple of downloads you can easily print off as well as a craft or two that are sure to be be part of the fun. These lunch sacks are perfect for a back to school bash! Just download the printable, tape down the folded flap and closure parts of the bag, and print it out. I used white bags to make it easier for coloring, but you can use the classic brown bags too. 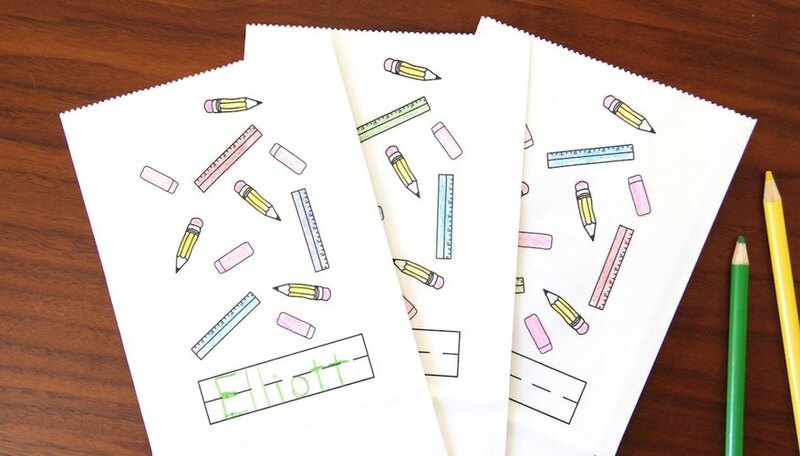 Lunch sacks your kids can color are sure to get them excited for back to school! How about some fun stickers? The kids will have a blast with these. They can stick them onto their new school supplies to jazz them up, or just on to their shirts! To make them, just download the design here and print it out onto sticker paper, then cut them out and you're ready to stick! 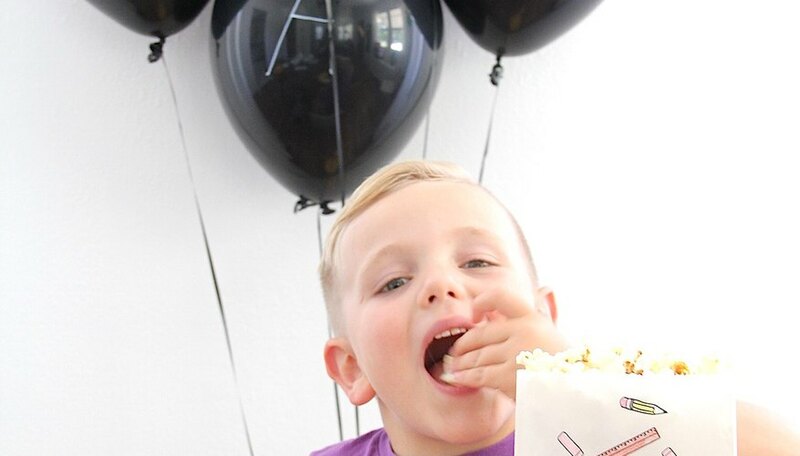 These fun balloons are reminiscent of classic blackboards but without the chalk! 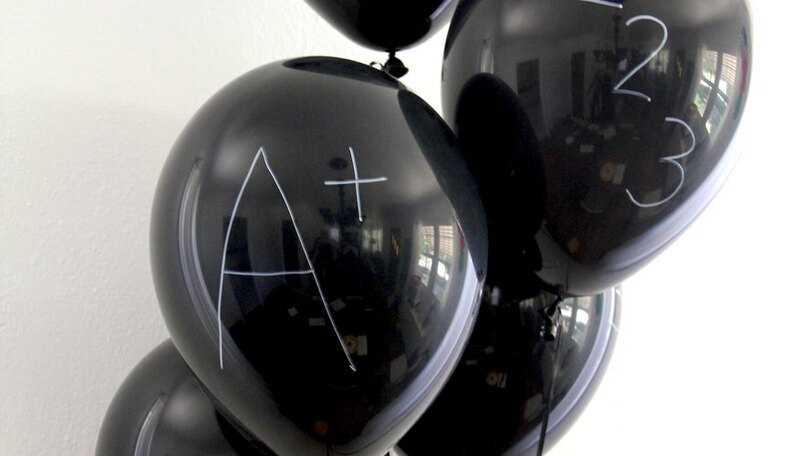 Grab some black balloons from your local party store and, with a white paint marker, draw on school-themed designs like "A+" or "ABC" etc. They're the perfect touch to make back to school a real party! To make one, cut red crepe paper into thin strips. Next, grab some small toys or stickers and, one by one, wrap them up into a crepe-paper ball. Tape down the end of the crepe paper strip, and then and cut out a leaf from green crepe paper and tape it to the top.